Showing results for tags 'Free-build'. First off: making a small factory is really tough. It's way too easy to slip into artisan mode. So think of this not so much as a small factory, as a small part of a factory. A small landed proprietor fell upon hard times back on the Eslandian mainland and decided to turn to industrial pursuits. Thinking that the colonies offered more opportunites in this regard, but not interested in moving too far off, he settled in Bardo and opened a wheel spoke factory in conjunction with a nearby blacksmith who undertook to put the finishing iron band around the wheels. He developed a new machine to expedite the spoke-making process. This machine makes four spokes at once. First, two rough poles must be put inside the machine between the two 5 stud-long sides. (Each pole will later be cut in half for a total of four spokes.) The machine is placed upright and an iron bar is placed between the two poles. The T piece on the end of the bar is swiveled back and forth and turns the cross pieces along the poles, smoothing the poles out as it is pushed slowly forward. I'm not sure it would work in real life. I have admired the educational factories we've seen, but I couldn't find a process simple enough to be shown on a small base like this, so I just invented something. C&C welcome! On a fine sunny day, on a fine sandy beach, on a fine sugary island, Captain Argentum set his foot down proudly. This was his first visit to Crablandia, and he had come bearing the olive branch of peace! Crablandia was one of the smallest settlements in the Brick Seas (literally: everything was crab-sized!) and was very rarely visited by the upper classes. The negligence and arrogance of humans early on resulted in enmity and some degree of silent unrest from the main populace, commonly known as Crustaceans. During recent exploration by Corrington, Crablandia had especially suffered from careless explorers living up to the island’s maxim “Keep Yer Boots On” and literally trampling the settlement underfoot. Additionally, as the Corries evacuated, many of the crab's tunnels were raided to provide food for the Corries. Many Crustaceans lost their lives on this account. This policy served to sow further discontent among the populace, most of whom were both unable and unwilling to flee to other Crustacean colonies. While the smallest and most humble of cities, the strategic location of Crablandia is likely to end up making it the main harbor of Keep-Yer-Boots-On island (island 14, in case you were wondering). Fearing additional deprivations by their new Corry overlords, and the native turtles and birds, former Crablandian citizens have gathered in the ruins of Crablandia on the north of the island. Although their homes are smashed, they have nowhere else to go. Fortunately, Captain Crusty Kakricini, seeing the plight of his fellow-crustaceans, made prodigious efforts to safeguard his people. Fearful of the Corries’ gastronomic powers, he has turned to the Empire of Eslandola for help. Much concerned about the civil rights and safety of the Crustaceans, Captain Argentum, on behalf of the councils of Eslandola (who, he is sure, will be thrilled to second his helpful actions, as they always are, as soon as he can report them), has set in motion Operation Pax Crablandia. This operation aims to establish an independent neutral zone on Keep-Yer-Boots-On Island (a name which, by the way, Captain Argentum finds much too long – he suggests Crab It! or something catchy like that) in which those in danger of being served up or dished out can seek safety from culinary coercion – from being boiled, roasted, grilled, and so on. Unpleasant stuff! Hearing their tales of harrowing woe made Captain Argentum extremely glad that he was not born a crab. As the settlement is established on the ruins of Crablandia, it will be known as Nova Crablandia. To secure the status of the settlement, significant forces have been committed, both naval and army, most notably two sailors. But let’s not forget the one soldier and his grapeshot cannon – and of course, the renown Captain Argentum himself. His ship, too, is standing in the offing, and he’s confident that a quick passenger pigeon to Eslandola will bring regiments and regiments of reinforcements without delay. Before beginning to reconstruct, Captain Argentum unrolled a small paper and read the following declaration (with frequent interjections of opinion): “People of Crablandia, I, Captain Argentum of Eslandola, hereby declare on behalf of the crown and our worthy King Fernando – whom, may providence restore! – the settlement of Nova Crablandia and the surrounding territories neutral ground, and extend the full protection of Eslandola’s armed forces, navy and army, to its continuing existence. However, putting aside narrow gains, Nova Crablandia shall remain independent of the Crown and under its own governance, by the office of a locally elected governor, answering only to the citizens. – Of course, the governor will be played by an Eslandian; that’s understood. – The governor will be required to act within the stipulations set down in this statement and its accompanying treaties to secure continued neutrality and perpetual attendance to the civil rights of the populace. – Basically, we get to decide what the governor can do. Of course. Otherwise he might be a tyrant. – Nova Crablandia will remain open for any refugee or settler of any nation, unless explicitly deemed a threat to the neutrality and safety of the settlement. Gastronomical capacity and taste for seafood will be evaluated when considering immigrant application forms. Accepted refugees will be offered the same security and convenience as existing citizens. Until elections can be held, Captain Crusty Kakricini will hold the office of governor, his most important tasks being to organize the relief efforts in cooperation with Eslandian forces, and afterwards to hold proper and fair elections to either affirm his mandate or find a successor. Eslandola will be watching developments carefully to ensure all obligations are fulfilled to its satisfaction. – Our way or no way, you know! An excellent motto. Got King Fernando into a bit of trouble though. Shall I tell you a secret? He helped me draft this! Indeed! The King himself helped draft this letter. Ahem… where was I? – To ascertain continued neutrality, Nova Crablandia shall refrain from raising any military forces, including, but not limited to, militia, irregular forces, or naval assets. A reasonable constabulary force is excepted from these rules. – Very sorry fellows, but neutrality has to be governed by someone. – Security will be ensured by the continued presence of a permanent Eslandola garrison, currently commanded by Captain Argentum, as well as the additional naval and army assets necessary at any point in time. – One man’s neutrality is another man’s tyranny! Another excellent saying of my good King Fernando. I have often encouraged him to write a book of his sayings, you know. I think he could title it something like… The King, or… The Prince… hmm... but to return! – As a neutral protectorate of Eslandola, the port of Nova Corlandia will be perpetually open to vessels of all nations. – I understand that you are concerned that sailor appetites may put your lives at risk. Fear not! We will be alert at all times to prevent banquets! In fact, the very next section says: – Visiting warships will be moored under the guns of Nova Corlandia to safeguard against any hostility, and shore leave will be strictly regulated to ensure a minimum of trouble. The Governor, the commandant, and the Councils of Eslandola each reserve the right to, at any given time and without explanation, deny any vessel or person access to the port, or any communications with shore, should it be deemed necessary to uphold the neutrality and safety of the territory and its citizens. They may take any measures consistent with its charter to ensure its continued existence. – Basically, Captain Crusty, myself, and the councils can do anything at any time for any reason. I defy anyone to miss seeing the genius of King Fernando in those lines! Note especially, that right after granting permanent access, he reserves the right to deny anyone anything! I appeal to any unbiased observer: have we not here the ruling genius of the century?! – Eslandola grants its best wishes for the safety and well-being of the citizens of Nova Crablandia and trusts that you will hold the ideal and principles on which it has been established in the highest regard, serving as an example for others to follow. – A confession must be made here, I admit. I suspect that King Fernando was actually following examples himself, when he thought of this mission. Ah, well. No man is an island! And imitation is the highest type of flattery, right? – To relieve you of your immediate troubles, we shall construct a blockhouse fort, where all Crustaceans can hide in case of need, and where the flag of Crablandia can be proudly waved for all to see. Long live Nova Crablandia! Long live Eslandola! – And long live my good friend King Fernando, and may he one day enjoy his own again!" However, words are not sufficient to alleviate the hardships created by hungry exploration parties. No sooner had he finished reading the declaration, than Captain Argentum put his sailors to work. As they hoisted the colors of the Crustaceans (which just happened to be the colors of ketchup and mustard) to the top of the new fort, Captain Argentum went into raptures. “Comrades, you have just witnessed the dawning of a new day! A new day for all Crustaceans; a new day for Crablandia; yes, even a new day for Eslandola! By this selfless, disinterested establishment of an utterly neutral city, we have begun on a new path – a path of harmony, a path of greatness, a path of good relations with all!” He stopped, breathless, awaiting the reactions of his assistants. The two sailors cheered lustily. The soldier only said, “I can’t wait until the Corries hear about this. I wonder if they'll think it's good relations for all?” His wish seemed to be about to be granted. Colonel Lawson, who was busy exploring and mapping island 14 for her Majesty, came along the beach at a canter. Hearing the applause, he spurred forward; eager to be in on what he imagined was a crab hunt, and also wondering who it was that had set foot on these shores. “Hullo!” he called out. Captain Argentum wheeled around. The soldier snapped to attention and examined the priming on the grapeshot cannon. “Halt!” Captain Argentum bellowed. Colonel Lawson, who had recognized the Eslandian uniform, stopped in amazement at this peremptory command from what he had imagined to be a friendly power. Captain Argentum rummaged around and dug out a bit of white handkerchief. He ventured boldly forth from amid the sands of Nova Crablandia to meet the Colonel, signing to his sailors and the soldier to be ready. The sailors cocked their shovels. The soldier lit a slow match. “If you take another step forward,” Captain Argentum said in slow measured tones, “I shall be required by duty to open fire. I am under orders from his Majesty King Fernando to protect the neutrality of this settlement with any means necessary, and I am already stretching my authority by meeting you thus. However, I would be very sorry to be the cause of any breach between Eslandola and Corrington.” He sighed and sent a distraught glance toward the Colonel. “I appeal to your own sense of duty. I cannot ignore my orders. I shall have my orderly,” here Captain Argentum paused to indicate with a wave of his hand the crab crawling next to him, “appoint you a suitable camp site outside the range of my guns, near water, and ensure that you are well provisioned, should you not have brought the means to be self-sustaining. There, you will await negotiations under the flag of truce. “I appeal to your sense of right and wrong. Please do not force me to act in what is certain to lead to a diplomatic incidence with ramifications we cannot even begin to imagine…” Captain Argentum again gave the Colonel a worried, expectant glance, as his sailors adjusted the aim of their shovels, looking competent but distraught of the thought of firing at their fellow men (having, of course, long since forgotten that they were only holding shovels). “Will you accept my suggestion?” Colonel Lawson looked stupidly at Captain Argentum, in pure astonishment. He had hardly heard a word. At last he stuttered out, “Fire? Did I hear you say you would fire?” Captain Argentum straightened boldly. “Yes sir! I said – fire!” At this word there was the sudden sound of an explosion. The truth was, the soldier had got to daydreaming a little bit during Captain Argentum’s wordy speech, and had just remembered where he was when he heard the Captain bellow the word, “Fire!” So, of course, he fired. Colonel Lawson fell from his horse, buried in a load of ripe and bursting grapes. Grape juice was running down his chin and staining his uniform. He still looked astonished, and a little angry too, but Captain Argentum stepped up quickly. “Sir! I am inexpressibly sorry for this premature conclusion! Please accept my apologies,” the Captain went on, helping Colonel Lawson to his feet. “My soldiers are so precipitate at times! I’m sure you can understand the feeling. I will be glad to provide you with a new suit at any time…” Colonel Lawson cut him short. “Sir, I really – what exactly is going on here? I understand nothing of this matter, though I will certainly accept your offer of a new suit. This one has been quite ruined,” he grumbled. “Certainly, sir, I will be glad to explain again. You see, sir, it boils down to this: simply put, someone needs to do something. – We have seen no efforts by Corrington to help rehabilitate the survivors of this crab population, decimated by your recent exploration parties. – So Eslandola has decided to do that something. When Corrington failed to send help to the roasted, the grilled, and the boiled, Eslandola has sent ships.” “This is insane!” Colonel Lawson muttered to himself. “Do you mean to say,” he added, in a louder tone, “that you are establishing an Eslandian military presence on this island?” Captain Argentum opened his eyes wide. “Why, surely sir, you must perceive that the establishment of a demilitarized, neutral port like this in no way endangers fulfilling your official strategic objectives. I would be quite surprised if any of my efforts here were regarded as hostile action, rather than as a parallel and complementary effort of an ally! “In truth, it saddens me inexpressibly,” Captain Argentum continued, “to think that the Corries have ignored their crab population for so long. But rest assured, this matter is being taken care of! And surely, sir, you cannot expect me to leave Nova Crablandia until I have received reasonable assurance that my kind intentions will be fulfilled. “The Crustacians of Crablandia are my primary concern. Are they yours?” After a nice dramatic pause, Captain Argentum found it necessary to keep going, since Colonel Lawson still looked a little lost. “You see, sir, that this is not a matter that can be hastily resolved. I advise returning to your… to wherever it is you came from, and perhaps communicating with your superior officers. As I’m sure you can recognize, the status of Nova Crablandia is to be decided through proper diplomatic channels, not by the logic of force, and no Eslandian or Corry citizen is to act in contrary to such.” Captain Argentum bowed politely to the Colonel, who mechanically bowed back, mounted his horse, and left at a gallop. After Colonel Lawson was out of sight, Captain Argentum sat down and sharpened his quill. Then, pressing his lips together in a sign of deep concentration (he never found writing an easy task), he wrote an official report of his actions, meaning to send it by a trusty messenger to the Eslandian Councils as soon as he could. He then sent a private letter to King Fernando. Your Majesty, This is to inform you that I have successfully established the settlement of Nova Crablandia on Corrington's newest island, as you ordered. If there is any other faction you would like me to make enemies out of, I remain, Your eager servant, Captain Edward Argentum Having thus achieved a good day’s work, Captain Argentum returned to his ship and feasted on a delicious dish of Crab Rangoon. Disclaimer: No actual redcoats were actually harmed in the making of this MOC! I can’t begin to tell you how much fun this was to write. Had a blast trying to collect all the letters and what not that have been going around about Pax Corlandia and then rephrasing them. I hope it’s as fun to read, even for the Corries. Obviously I was trying to parallel the situations as much as possible.I tried to stick with the description of Island 14 too, with the spiky plants! Needless to say, this isn’t serious. Eslandola provides no official backing or protection for Nova Crablandia. However, if you want to build a crab-sized house… please do! As a motion of gratitude to the Corries for graciously affording me such an opportunity, they're welcome to license the sand fort as a small fort if they feel so inclined (I think it should count per the rules, because, although the fort is small, the MOC is a good size). Constructive Criticism is always appreciated! Thank you for looking! Ageven Deraim is famous for his good cheer, and his good chef, Chef Délicieux. And today, the Chef is busy carving up an extra-grand and delicious meal! Many hands make light work, right? Or is it too many cooks spoiling the broth? Hmm... Someone is having trouble with the sausages it would seem... But as always, Chef Délicieux is calm, cool, collected, and totally focused! Before building this kitchen I did a quick Google search and got plenty of inspiration! More pictures on my blog here! This was built both for the LCBTC second round and also for the Summer Joust. I always enjoy building kitchens or other food-related builds, so that was definitely fun! I had LittleJohn's recent (well, not so very recent) kitchen in mind as I built, although, of course, I went with some pretty different colors. The hardest part was hanging the stuff from the ceiling... tying such tiny knots was painful! Comments and/or critiques are welcome! Even the men of the merry green woods like a roof to get under every now and then! To be honest, this is actually a cottage that I built for a different MOC, but it was a little buried behind everything so I decided to give it it's own base! This is actually the second time I've used that technique for the tile wall... the first time is unpublished as yet. This time, however, I honed in on it considerably. Most of you experienced LEGO builders can see how it's done without even looking twice I'm sure, but for anyone else, or if you're just interested in seeing the process, you can check out a breakdown of the cottage here! It's been way too long since I've posted a build here... I've had a couple on my to-build list for quite a while but unfortunately that list just seems to keep getting longer and longer! But at least I managed to pull off something! Comments and critiques are appreciated! Not too long ago, a group of prospectors took a stab at a bit of Fuerte Unido terrain on Isla de la Victoria. They found silver and were eager to commence operations... but unfortunately that wasn't so easy. With all the excitement of the Marderian war, able-bodied men were scarce in Fuerte Unido in those days. And able-brained engineers were even scarcer... so this is what happened: Run! No use leaving a nugget behind though, if it comes quickly to hand! This build pretty well exhausted my supply of tan slopes... particularly inverted slopes. I left the top open mostly to let the light in for photography... you're welcome to assume that it's a cut out, or you can assume that that's the way the actual mine is. Whatever floats your boat. Fortunately, it looks like all five miners escaped. One last shot of the interior! Well, I finally got around to this... pretty enjoyable, though just because of the fact that it's a mine shaft I feel like there's so much detail that doesn't come across in the pictures! The crack in the side technique was pretty much borrowed from Captain Genaro (although my cracks aren't nearly as big or as numerous as his... I didn't have enough inverted slopes!). Fun stuff anyhow - C&C appreciated! On a peaceful dock beside Pontelli... While he was still awaiting the arrival of his first mate with the new ETWC ship, the Fog-Breaker from Terreli, Captain Whiffo had heard that a certain ex-pirate ship was likely to go cheap - and that it had true rat-lines. To tell the truth, that was really what interested him. At any rate, after seeing to the new ETWC oat plantation, he headed off to meet with Guy Wyndzon's used ship dealer on his favorite section of the docks besides Pontelli. It was peaceful spot situated right next to the as yet untamed jungle of the island, and was a perfect place for running a good deal, the Captain thought. But then, anywhere is a good place for that to an Eslandolan... "Good day, sir," exclaimed the agent as Captain Whiffo strolled up the wooden boardwalk, "I hear you're interested in our ship, the previous White Skull." "Precisely, sir," replied Captain Whiffo,"I have quite the feeling to go off on a privateering mission against those villainous Mardierians at the moment, you see." "Ah!" replied the dealer, though in truth the only thing he saw were money signs. "Well sir, I've been told that the minimum price is 100 Doubloons." "Humph," resumed the Captain pensively, "I'll offer 101, then." The agent grinned. "I'm sorry to tell you, but somebody has already offered 105 DBs." "Oh, well then, say 110." "Somebody else has already bid 115, I'm afraid," the dealer commented cheerily. "Ho-hum," retorted Captain Whiffo making accounts for the next likely bid, "make it 126, then." The agent grin only widened. "Begging your pardon, somebody else's bid that too, sir." "Ba!" exclaimed Captain Whiffo, turning away and flipping his sword in the air, "150 is about my last offer then, you rascal!" "160?" asked the dealer, opening his book and looking thoughtful. . Captain Whiffo tapped his foot and raised an eyebrow, and fiddled with the large blue gem he had pulled out. "Beautiful bird over there, don't you think, sir? Well, good day to-" "Ratlines?" interrupted the dealer. "Mardierians? Adventure? Profit?" "You rapscallion!" exclaimed the Captain. "155." "Deal!" And of course he had it, for the fact was, Captain Whiffo had come with 175 Doubloons to spend in the first place anyhow... And oh, but on the other side, after a few more such deals... Yo-ho-ho, a pirate's Eslandolan's life for me! Ahem, yes, sorry, I really couldn't resist! Built just to move on my story here a little and to explain the purchase of the (now unfortunately no longer extant) White Skull. Thanks for viewing, C&C are welcome! Guy K. Wyndzon sauntered along his waterside boardwalk, as he liked to do whenever he had difficult matters – state or personal – to think over. To be sure, Uncle had often slandered the walk as a “boredwalk,” but that was because he didn’t believe in meditation. To Guy’s Uncle, thinking while walking was synonymous with daydreaming. Perhaps, in Guy’s case, Uncle wasn’t entirely wrong. At all events, if Guy had really been as intent upon state matters as he liked to claim, he probably wouldn’t have been so easily distracted when a loose sheet of paper blew across his path. As it was, he ran at it, jumped, caught it – missed! It fluttered down towards the water – Guy made a desperate lunge – just then a breath of air swept by, spinning the paper around tantalizingly. Another jump – caught it this time! “What is this, anyhow?” Guy muttered to himself. “Probably an old copy of the King’s Port Advertiser – trashy old Marderian propaganda… hey, wait…” Guy stared intently at the piece of paper as his heart began to race. This was… it couldn’t be… but it was! The famed treasure map of Captain Booya! 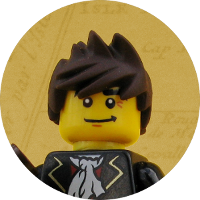 Captain Booya, for the curious among my woefully ignorant twenty-first century readers, had been a notorious pirate of the Brick Seas. All sorts of villainous deeds possible and impossible were ascribed to him: he had raided Terreli, and left large portions of the city in ashes; he had slain the great Sea Kraken, and his crew had lived off its flesh for a full ten years; he had discovered a far off island, and buried a tremendous booty there. Then, suddenly, some sixty-odd years ago, he had disappeared. Not a trace of him remained. Back in the day, the vulgar people thought he had sailed right off the edge of the earth. But since it was now common knowledge that the earth was round, most people supposed he had sunk in an unusually heavy storm. Thirty years after Captain Booya had disappeared, an old marooned sailor of his was rescued. He had been left behind by the pirate Captain, he said, because he had, out of sheer curiosity, dogged the Captain’s steps one night on shore and caught him in the very act of handing a detailed map to a young lady. The sailor gave a vivid description of her: slightly curly black hair, dark eyes, tall, etc. And so the gossips throughout the Brick Seas quizzed any acquaintance matching the description in any degree, which was rather ridiculous, since thirty years later the odds were she had grey hair or was dead. At any rate, neither map nor lady was ever heard from again. Until now. With wildly throbbing pulses, Guy spread the map out on the boardwalk. It looked authentic… it felt authentic… it even smelled authentic. Could this – might this – possibly be THE MAP?!? He had to find out. He had to try to follow it. Right off the bat, he didn’t recognize the location. Were there any clues? He turned the parchment carefully upside-down, and noticed a poem, originally traced in a bold hand, but now scarcely visible, thanks to the effects of time. After staring at it for a while, he managed to decipher the following lines: Sail ho, my hearties – the treasure awaits! Unship your compass and head for the straits! The animal sound guides to the ground Where riches untold wait to be found. Your bravery is tested on this small island strip, And be sure in resin your torches to dip. Onward and forward, follow your nose, Keep up with it, as far as it goes! Up and beyond, climb and away, As over you breaks the light of a clear day! The shadow progresses, it points, it ascends, And away from the hollow your footsteps it bends. Awake, awake, my hearties, soar to the skies, He who steps falsely – that man dies! Below these were more lines, evidently added, in a different though similar hand, at a later date: To you, bold adventurer, goes forth the call, Give it your best, give it your all. No other business can interfere, Make this your first and your only care. Leave State and Company for treasure, forever – if you dare! “State and Company!” thought Guy, amazed. “It’s almost as if it were written with me in mind!” Well, I wonder what Uncle thinks about this latest development... more soon, hopefully! Jungle scenes are so much fun! I had a great time with this one - and you can see an alternate version of the MOC here and here. C&C welcome! Thank you for looking! Eslandola Hall. Previously the favorite walk of Eslandola’s unfortunate ex-monarch, this arched gallery was opened to the public shortly after his de facto removal from power. It’s a great place for a friendly discussion, a leisurely date, artistic meditation, or, if you’re an eccentric Sea Captain, for a good-humored clash or two. “Good day, nephew.” Guy had asked his Uncle if they couldn’t have a quiet talk at the Hall this afternoon. “Hello, Uncle. I have some news for you.” “Ah.” “I’m resigning my position as Secretary of State, and also as leader of MCTC.” Uncle merely nodded. Guy was quite astounded at his lack of surprise. “Well, Uncle! Don’t you want to know why?” “If you want to tell me, I’ve no objection to listening.” “But… but… aren’t you surprised?” “Maybe.” Guy shook his head in a bit of exasperation, half feigned. “Well, then, Uncle, the fact is… well, I mean… you see… I’m thinking about marrying.” Now, indeed, Uncle did look surprised. He let out a long whistle. “What a whopper!” he muttered under his breath, but not loud enough to be heard. Then, seeing that Guy obviously expected him to say something, he asked, “And who is the most unfortunate young lady upon whom you have cast your eyes? I pity her from my heart.” Guy laughed a little, then said, almost with a blush, “Well, you see, I haven’t really decided yet, you know.” “Oh! Yes, it makes sense now,” Uncle muttered soto voce. Guy heard it, and asked, “What makes sense, Uncle?” “Oh, never mind. Was that all you had to say?” “Ye-es… I suppose so, if you have no further curiosity as to my motives, or my successor, or where I’m going, or – anything else?” “Well, in fact, I don’t see why you can’t be MCTC leader and have a wife, at the same time.” Guy looked as though he had been expecting this question and had prepared his answer long beforehand. “Yes, but you see, Uncle,” he began grandly, “after much mature deliberation I decided that a husband really ought to spend time with his wife, you know, and really, you’ve no notion how heavy of a press of business accompanies leadership in the MCTC!” “Haven’t I? I do it all myself.” Guy colored slightly. “True, true, Uncle, you are a tremendous help, but, for all that,” (with a pitiful sigh) “I’m incredibly overworked!” Uncle looked at him quizzically. “Am I to understand that you are giving up your very prestigious and very easy position as Secretary of State and head of the MCTC so that you may have more time with a wife that you don’t even know exists?” “Well, Uncle, if you put it that way… and, of course, I may have other, secondary reasons… you know…” “Yes, such as going on a hunt to find what is rumored to be the greatest treasure of the New World?” “Uncle!” Guy’s face was a complete blaze of astonishment. “How on earth did you know?! ?” “Maybe by dropping the map in front of your face?” Guy looked also a little crestfallen seeing the march that had been stolen upon him. Then suddenly a new thought intruded itself and he jumped up as he exclaimed, “Uncle! Was it you?!? – you that added those lines, that made me retire?!?! Oh! I’m sure it was! Uncle! Why ever did you do that?! ?” “Well,” he drawled, “I didn’t want the press of business to have an ill effect on your health.” “Pshaw! Uncle, you know well enough that… well… umph!” “Oh, you’ll forgive me. Treasure hunting is a full time job, and I do think you’d have too much to do if you were leader of MCTC on top of that. Besides,” with a twinkle in his eye, “now, you know, you might have a bit of time to devote to that wife you’re so eager to find…” “But is that map really authentic?” “Oh, it’s authentic all right.” “Wherever did you get it?” “That is my secret.” “Why aren’t you following it yourself?” “Bah! These treasure maps are all humbug. Probably the old Captain was woozy. Buried an old neck cloth and now the world’s been on a wild goose chase for sixty years. – Go get yourself lost.” Later that night, Uncle was sitting with his wife Elaine, listening to his youngest daughter’s efforts on the piano. “How did your time with Guy go, dear?” “Pretty well. He wants to get married.” Elaine looked at him in complete astonishment. “Get married?! Your nephew? The one with the crazy hair? I can’t believe it.” “He said it.” “To whom?” “He doesn’t know yet.” “Oh!” Elaine laughed. Then she added more gravely, “But was he serious?” “It wasn’t spoken in jest, if that’s what you mean. I dare say he’s not in a hurry, however.” He gave his wife a sidelong glance. “But I wouldn’t advise you to meddle!” “No, no… of course not…” she replied absently. Here are a few more pictures of the hall! C&C welcome! Most of you reading this probably remember that not too long ago, Guy’s Uncle decided that Eslandians were becoming too cooperative for his taste. Maybe he jumped the gun a little, but anyhow, he was determined not to stick around. But in fact, no sooner was he comfortably accommodated in an outbound ship – bound, by the way, for Otoño, that being one of the least civilized places he could run off to without too much danger of pirates – than a brilliant idea occurred to him. He’d plant a palm tree plantation, and inaugurate it with a tremendous hanging festival. But when he talked it over with Elaine (his wife), she had an even better idea. He’d grow these palm trees – a special variety, by the way, engineered to withstand even the heaviest debtors – and then transplant them. With Guy’s help, he’d get legislation passed to require each city to have a grove of them in the town square. Then no one would be able to escape the full rigor of debtor’s law! Well, actually, that wasn’t exactly Elaine’s idea. The conversation went more like this: “But, honey, what are you going to do with a plantation of palm trees? Sell coconuts?” “No! They’re for hanging people!” “Yes, that’s all very well and good, but what are you actually going to do with them? Bottle the sap for juice? Or use the fiber to manufacture a line of doormats?” “No! They’re for hanging people!” “Oh! I have it! Just grow a pretty variety, and you can transplant them. People love having palm trees in their yard – it gives such an exotic flavor. And cities will probably be glad to buy some for their squares and parks.” From that, to selling the trees specifically as gibbets, was an instantaneous transition for Guy’s Uncle. So, he planted a palm plantation. Every day, he walked the rounds, hanging a dummy on each palm tree, making sure that they would be strong enough to resist when the time came. And as soon as his first plant was ready to be transplanted... ...he chartered a ship and headed back to Terreli to find Guy and get him to ram this piece of legislation through the High Council. He was in for a rude awakening. To be continued! One last close-up! A bit of a repetitive build, but fun nonetheless. I tried to depict the palm trees still in the growing stage, so they're young trees just ready for transplanting! C&C welcome! Ever since Uncle’s disappearance, Guy had been feeling awfully low spirited. He would never have admitted it, of course, but so it was. At first he had thrown himself heartily into the goings on – you know, the signing of the Magna Charta, the creation of the Constitution, and that sort of stuff. But in fact, without Uncle around, he was feeling pretty lost. Proof positive: he had started talking to his old apple tree out back. Time was, Guy aired his speeches on his Uncle. He’d wax grandiloquent over the dinner table and throw out dramatic flourishes as practice for his secretarial duties. But he couldn’t rant over a solitary meal. Mostly because he had an idea that the butler was keeping a close eye on him. So today he was just lounging around, and suddenly found himself in front of a neglected old apple tree. Apples. Guy remembered how his Uncle hated them. From remembering how Uncle hated apples, to remembering that he was due for a speech announcing MAESTRO’s monopoly, was an easy step. (Even just thinking to himself, Guy caught himself and mechanically switched to maestro.) Guy looked around carefully. No one in sight. He could practice safely, without his butler thinking that he had lost his mind. “Citizens of Eslandola!” he began. No, that wouldn’t do: it was so – well, in fact, it had an Oleonish ring to it. “Ladies and Gentlemen!” But that sounded like something a Corry would say. “Bah! Let’s get to the point already. It is my great pleasure to announce to you... but that’s not true. I could hardly care less about the matter. Fact is, there’s not much I care about at all these days. Really, I think I should go on a good ol’ fashioned treasure hunt. Find me a map or sumthin’. Or maybe I should – should – turn harpooner and go on a whaling cruise. Or go live with the Indians for a summer. *Ahem! * Ladies and Gentlemen – green and red apples all – excuse my rambling. To resume. It has fallen to my lot to present to the honorable Trading Company, the Mpya-Steador All-Encompassing S… S… Something… what on earth does that S stand for?!? Statistical? Satirical? Satani-never mind. I ramble. Begging your pardon, apples. I hereby present maestro – I mean, MAESTRO – no – well, yes… What’s a man to say? Put it to yourselves, apples. I say maestro, I offend the reds. I say MAESTRO, I offend the greens. Or vice versa. Well, well. Civilized life’s a tightrope. That summer with the Indians is looking better and better, as long as I can be sure they’re not cannibals. I hereby present a certain Trading Company with – an apple monopoly! Ha! Yes, Guy, that’ll do admirably. Walk up onto the platform and say that. And watch the apples fly – at you. What has become of my flair for dramatics? I can’t seem to think up anything. I’ll probably blank out this afternoon. Yes, I can see it, plain as if it were already happening in front of me. I clear my throat a half a dozen times, smile all round, just manage to choke out – ‘I present… someone… with… something!’ Ha!” And Guy whirled around and strode back towards the house, still muttering to himself. In the end, he wrote his speech out on a fancy placard and nailed it to the Town Hall building, instead. A quick little build to announce MAESTRO's new Apple Plantation Monopoly! Being Secretary of State isn't always all it cracks up to be. Especially when diplomatic relations are getting tough. Guy has been having nightmares lately. A fun little build partly to tide things over until I manage to get my response build done. C&C welcome! Previously. The swinging lantern suspended from the ceiling cast fitful shadows over the tavern’s rickety tables. Thomas Ward sank down across from another young man on a bench in the crowded room. Then he called out for a glass and a bite, which the waiter brought promptly. Being a healthy, hungry sailor, he didn’t waste time in preliminaries, but quickly tore hunks of bread with his teeth and swallowed the ale in great gulps. Gradually the edge was taken off his appetite, and then he noticed that the young man next to him was eyeing him curiously. He turned slightly, and the two looked very curiously into each other’s faces. Ward felt sure that he had seen this man before! “Thomas Ward,” the young fellow said with a smile. “You don’t recognize me, eh?” “Why, if it isn’t Harry! Couldn’t mistake your voice anywhere! How have you been?” “Oh, well enough. As well as I could be without…” “I know,” Thomas interjected in a sad tone. But Harry threw it off and said with a smile, “And what’s up with you? Given up your job as a stocker? Can’t blame you. That place was a den of demons.” Harry’s bright, honest face darkened angrily. “I don’t know but that I would have thrown it off anyhow, but my term expired the day afterwards,” Thomas replied. “And you haven’t been asked to be a witness at the case? I suppose, after all, you probably don’t have any evidence to give anyhow.” “Oh no! I have enough evidence to hang the man ten times over!” Harry looked at his old friend in surprise. “Then why don’t you!” He added indignantly as he saw Thomas’ look, “Are you really considering letting my brother’s murderer without bringing forth your evidence?” Thomas shrugged. “What do I have to do with it? – Well, no, I don’t mean that, but see… I’m a Corry, after all!” “A Corry after all! What?! And does that mean that you should just let the murderer go free!” “But,” Thomas replied, somewhat perplexed, “I don’t hear any talk of his going free. It seems to me that he’s likely to be hung, with or without my evidence.” Harry shook his head. “One never knows, Thomas. The worst against him is the evidence of Mia, but owing to her less than irreproachable character, I couldn’t answer for it being taken at face value… what kind of evidence do you have? The way you speak of it, you must almost have been an eyewitness!” “I was an eyewitness. At least, I was hiding in the room. And if…” “Then in the name of justice!” Harry broke in. “Why don’t you come forward?! Tell all you know! If not for poor Jamie, at least, for justice!” “Well…” Thomas hesitated. “You will, Thomas! I know you will!” “I will.” “Good! But there is no time to be lost. You must ship for Terreli at once.” “This very instant. Good-bye, Harry.” “Wait! I go with you. Find us a berth, while I pay our bill here.” And in a remarkably short amount of time both young men were sailing “o’er the ocean blue” on their errand of justice. --- Tried out something new with this roof. I didn't want to do walls, but I needed a swinging lantern, so - voila! C&C welcome! [MCTC Cotton - 5] Inspection! Where would the MCTC be without Uncle? You all know (well, maybe you don't) that last time Guy's Uncle went off on vacation, Guy ended up throwing a mayor's application into the fire by mistake. Sir E.T.W. de Chauncourtois shrewdly suspects that was the least of the mishaps, but the others were probably hushed up for the good of the Company. Be that as it may, Uncle is always active in MCTC's service. This time he is in Bardo for a tour of inspection of the MCTC's latest investment: a Royal Cotton Plantation! Pigs have a distinct tendency to escape at the most awkward of times. One of the workers is doing his best to catch this renegade before Uncle catches sight of him. All the workers, of course, are trying hard to look appropriately busy as Guy's Uncle approaches the first segment of the plantation - or the last segment, depending on how you look at it. Guy spent quite a while at the breakfast table that morning trying hard to convince his Uncle that the plot with the aqueduct was the last plot, but Uncle insisted that since it was first on the road coming out of Bardo, it was the first plot. Uncle was glad to discover that this is only the guardhouse; no one lives here. And even he would have to admit that it's built in the most approved Eslandian style, with dark red bricks, whitewash, and green shutters. A+ here. More workers pretending to be busy. The other parts of this collab will be coming soon, so stay tuned! C&C welcome! Thanks for looking! A few days ago, Guy's Uncle's ex-chef made the terrible mistake of serving asparagus as a side dish for lunch. Uncle can't stand asparagus. His wife Elaine, however, has never cooked in her life; so a new chef was most definitely in order. Uncle has spent the last several days roaming New Eslandola in search of an asparagus hating chef, and has finally landed at Weelond's La Corona restaurant, where Chef Jalape is always pleased to show of his skills. After a delicious dinner of grilled fish, Uncle was ecstatic. This was the chef for him. Elaine, however, had been watching the chef out of the corner of her eye and had been quite alarmed by his reckless procedures with his humongous knife. She insisted upon asking a few questions before trying to strike a deal. Guy's Uncle began the conversation. "Delicious fish. Are you looking for a job?" Uncle never was good about beating around the bush. "Thankee! In course, I has a job, you sees - " "But, of course, you wouldn't mind a better one?" "Weel, no-o, I don't says..." "Wait a second!" Elaine interposed. "We're going a little fast here. Say! ...isn't that knife just a touch dangerous?" "Dangrus m'am? Oh, no-o! Not at all. In course, Jacques did cut off hes hand wid it, yesterday, and when I..." "But, you were saying," Guy's Uncle interposed, "that you wouldn't mind a better job?" "No-o, I think..." "But surely, if the knife isn't dangerous, your grill gets a bit out of control sometimes?" This was from Elaine. "Out of control?!? Oh no, m'am, I's very careful. You've no notion how many times I's stopped the flames right afore they reached the roof - why, just yesterday I was grilling..." "But!" Guy's Uncle interrupted, "But, of course, it would be even better if you had a better job. Maybe as a private chef?" "A private chef? Ye-es... I has sometimes thought on that..." "But," Elaine interjected, pointing, "is it really necessary to have that pail of water always on hand behind you?" "Oh yes, m'am! Why, I's just saying - yesterday I's busy with the grill, an' all on the sudden..." "Say!" Guy's Uncle cut in. "Perhaps you'd like to be a private chef for me?" Jalape looked at him in surprise. Then he flourished his knife in the air and sliced through the atmosphere with downright glee. "Why, sir, I'd be honored!" "It's settled then!" Uncle responded, before Elaine could add another word. This is actually one of my favorites of all my MOCs to date - really liked how the road technique worked here and the windows also turned out quite as well as I had envisioned them. Pretty fun to build too, though it took me a while to hit on the right color combinations and that sort of thing! C&C welcome! Thanks for looking! Long ago when peace reigned in Kaliphlin (am I showing my age here? ) castles like this one, garrisoned by Petraea soldiers, were a common sight. This was a fun color to use (medium dark flesh), I think it would look even better and also, of course, go further, with a bit of tan mixed in. You'll probably be seeing me use it again, I'll say that much! C&C welcome! Great to have a build for the guilds again! Decided to build another opening building like my inn. But I also wanted to get some bright colors in there. Well, it sure has been a while. This was a lot of fun to build - C&C welcome as always! This is a continuation of the detective's story; you can see the introduction and the previous part. A nasty slime pit that was once a well is hardly a place most people would choose to get some quiet thinking done; but, as his wife would have gladly told you, Rhys Thomson was not "most people." He was quite well aware that (as his wife always said whenever he was searching for his misplaced monocle) "odd things turn up in odd places!" and, being a detective, he courted said odd places as much as he could, in the hopes of one day stumbling upon an odd thing. This particular day, Rhys was meditating upon the curiosity of having two murder cases on his hands at the same time, which seemed to involve different people, but which still struck him as being somehow intertwined. Deep in thought, he leaned against the wall of the old pit, ignoring the noxious vapors that rose to the surface. Suddenly he noticed a little bit of white rag floating in the green slime. He reached forward and jerked it up and was shocked to discover that, beneath it, up popped a head! "Who are you?!" Rhys Thomson exclaimed. "Wh-who- who am I?" the poor culprit stuttered. "I- I am a poor man, s-sir, I've not done anything! I - " "Not done anything! Come now, my fine fellow, don't think you can hide from me," Rhys ejaculated in a commanding tone of scorn. "I know better than that! Tell me now! I seem to remember you, sneaking around, back in..." "Oh, no! No! It wasn't me, truly sir! I didn't do it!" the man faltered in terror. The detective smiled grimly to himself. "You may not have done it," he thought, "but you've done something, or you've seen something, and I'll make your talk, or my name isn't Rhys!" Then for a moment he fell to remembering how his wife had often said that he ought to have been named "Slys," as being more appropriate to the tendency he had for getting out of any housework - but, dismissing that subject from his mind, he continued, "Didn't do it, you say? Why, do you think a lie will help your cause now? Ha! You don't know who you're dealing with! Speak up, now, confess it!" "B-but, truly, I didn't! It was all his fault! I- I was just - just outside, standing there! And then, she went in - but no, no, I didn't do it! I had nothing to do with it!" "Oh ho! He and she, eh? Now we're getting somewhere!" thought the detective to himself. Out loud he said, "Little goose, not to know that to be silent is to be an accomplice! When he killed her, and you just..." "Killed her? Oh no, sir, she killed herself - I mean, that is - n-no - or - yes..." The poor man was becoming momentarily more befuddled than ever. To say truth, Rhys was a little befuddled too. Of course, he had just been making a wild guess, when he said that "he killed her," but this bit about suicide was throwing him off track pretty thoroughly. "Killed herself!" he exclaimed. "Now, really! Are you so sure of that?" For all his inward confusion, Rhys was just the person to pull a good bluff, so he sounded stern and tough and the poor man in the slime pit was thoroughly cowed. "Y-yes - I mean, n-no. She didn't kill herself, you know, sir, she just faked it, a-and - b-but, I didn't do it! He did it!" "Good night! Will I never get any names out of this slime?" thought Rhys. Then he resumed, "He did it, you say? Well! Prove it! - or, I will have to think that you are guilty." "I can! I can! See, see, he pulled out the gun - his own gun - and his bullets are all marked - his own mark - and - and - she can testify that I was standing outside, and I can testify that she was standing outside, and we can both testify that he did it!" Rhys twisted his mustache. Here was a puzzler. He had done it, and she had faked her death, and she knew it, and he knew it, and between it all, someone or another had clearly died! Rhys tried a bold move, in a guess. "Poor Jamie!" he breathed softly. The coward in the slime pit didn't contradict the name. "B-by the time I knew wh-what h-happened," he whimpered, "it- it was too late!" He half sobbed. "An-and now - now, we've got to kill Nacho too, an-and - we have to do it, or Don Gonzalo will kill us! just like he killed Jamie! an-an-" "Nacho! Don Gonzalo!" thought the detective. "Now we're getting somewhere!" Out loud he said, "Filthy scum! Come with me, and speak it out clearly, else, by my wife's beard, you'll spend the night behind bars!" Then Rhys added as an after thought - "Not that my wife has a beard, of course - it's just an expression." And he dragged the miserable man out of the slime pit and marched him along the streets. ...To be continued! A build mainly to advance the story-line, with the slime being a bit of an after thought; at first it was going to be a nice park, but then, I was tired of blue fountains. C&C appreciated! Thanks for looking, and for reading if you did so! Detective Rhys Thomson looked around him with satisfaction as he crossed the almost empty streets of Salida Este. He nodded pleasantly to a few passersby as he opened the heavy oak door that lead into his little office. But he was thinking of what his wife always said - how he'd never get any clients by setting up a detective's office out here in the boonies. Well, he'd prove her wrong, he would! He stepped into the office. It was smallish and quite cluttered, but he remembered another saying of his wife's which she used to throw at him whenever he wondered out loud if her pampered nephew (whom they were raising) would ever amount to anything. "Tall Oaks From Little Acorns Grow!" she would retort, capitalizing every word and being very careful to exaggerate the exclamation point at the end. Thomson heard the door open behind him and he turned around quickly with a jovial smile. "Good day, sir! As my wife always says - 'Every day is a good day, if it starts in bed.' Your day started in bed, of course, I presume?" The newcomer smiled a little at the detective's quirkiness. "Yes, yes, of course. You are Detective Rhys Thomson?" "Indeed, so I am. Rhys Thomson, to serve you. What can I do for you this fine morning? - since you are out of bed, and here, I presume you have some business?" "Some business, truly. A difficult case. As you are the only detective for miles around, I have come here." "Ha!" the detective exclaimed jubilantly! "So my wife always said! 'Why, you're the only detective for miles around!' - but, you see, she thought that was a bad thing. Let's see here. You have a case, I have some time, voila! The perfect match." And the detective swiped a pile of papers off the chair and motioned his visitor to a seat. "Let us proceed to business at once," Thomson went on, straddling the scattered papers. "A case, you say. What sort of case, if I may ask?" His visitor lowered his tone mysteriously and bent forward. "A case of murder." ...To be continued! Comments are always appreciated! Thank you for looking! This is my third free-build for this month, and I am Eslandian. In Bardo, Thursday is Market Day, and small farmers, fishers, and craftsmen from all around bring their wares to the Seller's Square. Come on and join in the fun! Get a hot meal... a literally hot meal, made with freshly picked chili peppers! Fresh Bardo pigs means fresh Bardo bacon... and nothing beats Bardo bacon! Something for everyone! Got carrots? Frog legs, anyone? Or be amused by this sailor's pet monkey! An overview: C&C welcome! I tried to convey the sense of a crowded market scene and while I would have liked to have a bit more time to introduce a few more unique stalls I'm pretty happy with how it ended up! This is my fourth free-build this month, and I am Eslandian. No sooner had Guy and his Uncle landed in Bardo, than they headed off to see the new house Guy's Uncle had arranged. To say the least, it wasn't quite what Guy had expected. "What's this?" "Your new house." "What?!?" "Your new house." "You've got to be kidding me." "Well, nephew, step in!" Guy's Uncle pulled back the leaves covering the entrance. "As a house warming gift - a turkey dinner!" Guy just gaped at the opening as Elaine stepped out to welcome him. "What on earth is going on here, Aunt?" "What? - haven't you realized yet? It's April Fools!" "April Fools! I should have known. Goodness, Uncle, did you take a ship all the way back to Terreli just for an April Fools joke?! : "Never can pass up on a good one." Guy glanced at Elaine, who smiled and shrugged. "Well!" Uncle ejaculated. "Let's start up on that pie!" Later: "So... I'm ready to see my real house now." "Real house? Oh. We don't have that yet." "What?" Elaine smiled. "You're young. You can camp out." "Uh... what about you two?" "We're staying over with the mayor," Guy's Uncle replied. "Speaking of which," Elaine added, "we had better head on over. Aren't we supposed to be there for a rear supper at eight o'clock?" "Indeed! Goodbye, nephew!" "Wait! - wait! What about me?..." "Sleeping bags are behind the chimney, Guy," Elaine called out as they walked off. Another shot of the interior! Comments are appreciated as always! This was a lot of fun! Recently, Guy K. Wyndzon made a fairly significant outlay in scientific chemicals and instruments. Today he finally wrapped business up enough to dabble a little. After walking into the room that used to be the great hall, located in the older wing of his prestigious mansion, Guy spent some time organizing and unpacking his precious collection. At last he found what he was in search of - a crystal vial filled with a purplish goo. "Aha!" he exclaimed. Gingerly he lifted the container and then made a dash at a little glass tube that lay nearby. "A little of this, then I think, with a little of that...” Cautiously he poured the vaporous liquid from the vial into the tube. "So beautiful!" Guy held the tube up admiringly. But as he continued looking, Guy was suddenly shocked by seeing a vision of his Uncle through the purple vapor! Guy’s loud scream echoed off the high ceiling. He dropped one of the tubes and just managed to hold on to the other as he stepped backwards into the table from sheer astonishment - and perhaps from a bit of fear, too. "What have you done?!?!?" His Uncle's voice seemed to thunder through the hall. Guy was speechless. "What... what foppery have you introduced in here? With what nonsense have you ventured to desecrate this time-hallowed hall?!? What maniacal fever could have impelled you to so thoroughly forget reason as to squander such a quantity of hard-earned money?!?!" Never in his life had Guy heard his Uncle say so many words at one time! At last he recovered the use of his voice. "Not nonsense, Uncle - science!" And Guy waved his arm around grandly. His Uncle’s eloquence had been exhausted, but he still stood there like an avenging angel, his stick resting firmly and immovably on the floor, his eyebrows gathered like lightning-bolts over his frowning eyes. “Look,” Guy began, “look – see – all these wonderful chemical compounds – discoveries just begging to be made! Imagine what we could do with…” “Not interested!” “By the way, Uncle – I thought you were in Weelond.” “I was.” “Oh. Well – to go on – see, I’m at present deeply immersed in a groundbreaking research paper. I think I shall title it, ‘On the Three Shades of Gold and the Interactions Between Them, or, An Exposition of the Similarities and Differences Between the Warm, Pearl, and Chrome Shades of the Element Known as Gold.’ I’m considering adding an epilogue that details the specific effects of Aqua Regia upon each one.” Guy paused, but seeing that his Uncle did not appear inclined to make a comment, he continued, “Above – that is, on the next story – you can see the magnificent contraption that I have but just assembled; it makes electricity! Just think of what could be done with such a source of power!” Guy seemed about to begin a long eulogy, but a yawn from his Uncle made him continue to a different subject. “Then, you see, a new discovery has just been made and I long to corroborate it! According to a well-known scientist of Corrington, the legs of a frog twitch when brought into contact with certain machinery…” “Frog legs?” Guy’s Uncle interposed, suddenly interested. “Yes!” Guy exclaimed, pleased to see that his Uncle was paying some attention. “So it is said – and I have just received three crates of tropical frogs, straight from our new island, Torrach Bonn…” “Are you going to waste these expensive frogs on some silly experiment?! ?” “No, no, of course not – we can eat them afterwards!” “Hum! You had better be sure not to add any strange-smelling stuff.” “Certainly not – but, by the by… what are you doing here?” “I’m here to tell you to pack.” “To tell me to pack? Whatever for?” “Your ship leaves tomorrow.” “Well? – I know that.” “And you leave with it.” “What? !” “You’re coming to the New World.” Guy stared blankly at his Uncle. “It’s all arranged. I got you a house in Bardo.” Guy’s jaw dropped. “Come on, let’s go eat those frog legs.” “Wait! – wait! I have to experiment on them first!…” Overview: This was fun to build! Inspired by Bregir's Society. And credit for the floor design goes to Jacob Nion. C&C welcome! A few days ago, Guy K. Wyndzon received a short letter from his Uncle – much to his surprise. Although he had told his Uncle to “keep in touch,” it had never occurred to him that he would! The letter ran as follows. Guy, Since you asked me, I send a letter. Am doing very poorly. Was going to do two hangings yesterday, but the court called them off. Downright aggravating!!!! Nice weather here. Etc. Your Uncle. Given, 8 Mar. “Well! Some letter that was!” Guy tossed it down with an amused grin. “Uncle doesn’t have an atom of patience in his composition! I wonder what was really behind those hangings?” and the young Secretary of State indulged in a bit of speculation. But he was far enough from the truth. In fact, this was more or less how it went: “Román Esteban Fontajo! You have been found guilty of a horrendous debt, amounting to 5 gold doubloons! Come with us, immediately!” “I’m not Román, sir. I’m his brother, Rialto Espada.” “Well, come with us anyways! You’re going to be hung!” The man’s eyes widened in shock. “But… but,” he stammered, “I’m not Román! I’m not in debt!” “Hang your excuses! And you too! Come along!” A pair of brawny young sailor stepped forward and dragged the hapless Rialto Espada Fontajo out into the street. “Next stop, the town barracks!” their leader – none other than Guy K. Wyndzon’s Uncle – ordered. The group marched along, headed by the fearsome Uncle and tailed by the still thoroughly bewildered Rialto Espada. “KolonialBeamster!” the Uncle bellowed upon arriving. “What outrageous names some people have,” he muttered under his breath. Then, raising his voice again – “Come out immediately! You have been found guilty of a horrendous debt, amounting to… to… hang the amount! Come with us, on the double!” A smiley-faced soldier stepped up and saluted smartly. “KolonialBeamter’s complements, sir! I’m one of his minions. What can I do for you today, sir?” “You can come with us and be hung!” exclaimed the irascible old Uncle. The soldier’s tiny eyes expanded alarmingly. “Ye-es, sir,” he stammered. “Come along!” the Uncle ejaculated, waving one of the sailors up. And so the minion joined the group as they headed out toward the beach, followed by curious glances from the passersby. Once at the beach, Guy’s Uncle leaned over onto his stick, glowering. “Do your business!” he commanded the sailors. Nothing loath, one of the sailors scampered up the nearby palm tree. The Uncle waited in grim silence while his victims looked around them in a half-disbelieving alarm. Suddenly footsteps were heard in the distance, and Guy’s Uncle whirled around, only to come face to face with two darkly clad messengers. “Who are you?” he roared. “I bring an important message!” the one dressed in a suit and necktie exclaimed breathlessly. “I have an important letter!” ejaculated the other, at the same time. The first one turned upon the other angrily. “I am bringing the important message, not you!” “No!” the other one retorted. “I have the important letter!” “No you don’t! I have it!” “No, you don’t! It’s right here!” “What?! It’s right here!” Both men seemed ready to come to loggerheads, when Guy’s Uncle interposed – “Where are you two from?” “From the court!” exclaimed the man with the necktie. “From the High Council!” exclaimed the other. “No, from the court!” “From the council!” But Guy’s Uncle interrupted again. “Well, give me the message, or the letter, or whatever it is!” The messenger of the necktie bowed low and, with a glare at his rival, presented a sealed missive. The other one bowed even lower, and with a prolonged scowl toward his competitor, presented a letter tied with a silken thread. Guy’s Uncle took the sealed missive first. He perused it carefully, and as he read his brow gathered thunder. “What… what… what… nonsense! !” He turned and threw the letter violently into the sea, stomping and scowling and muttering. The two messengers exchanged glances. “I hope he doesn’t serve the other letter the same way,” one muttered. The Uncle glanced at the cover of the letter tied with a silken thread. It was directed to Román Esteban Fontajo. He turned and tossed it to Rialto Espada, who caught it instinctively. “A letter for you,” he said gruffly. Rialto Espada looked at the address. “But I’m not Román!” “If you can get hung instead of him, you might as well as read his mail!” Guy’s Uncle exclaimed – and abruptly walked off! The sailors and messengers and prisoners looked at each other in bewilderment. “Perhaps it has something to do with that letter,” suggested one of the messengers, pointing to the soggy piece of paper floating a little ways out. One of the sailors instantly dashed in to retrieve it. Then the group huddled around the squelchy mess and tried to decipher it. “It says… ‘To something somethingzon’… I can’t read the next part, but then it says something like, ‘error in calintention’?” “Calculation,” the minion suggested. “‘Error in calculation,’” the messenger nodded. He continued, “then farther down, ‘our regrets… no hanging…’” “Wait… does that mean… we’re not supposed to be hung? !” the minion exclaimed. “Hurray!” “Some of us were never supposed to be hung in the first place,” Rialto Espada sniffed. He was still a little perturbed. “Well, all’s well that ends well!” the High Council messenger exclaimed joyfully. “Say! What’s that letter you have there about?” Rialto Espada tore it open and read, To the honorable Román Esteban Fontajo, Greetings from the illustrious High Council of Trade. Your services on behalf of the crown and the city of Nova Terreli have come under our notice. We are pleased to present you, or a friend of yours whom you might appoint, with the following offer of mayorship of the grand city of Nova Terreli. Your response is eagerly awaited. _________________Guy K. Wyndzon _________________Secretary of State And once more the group looked at each other in surprised amazement.